The warehouse, by definition, is a place for storage. Without the proper shelving, items can fall into disarray, organization goes by the wayside, and a warehouse loses its function. But what are the most appropriate types of shelving? There are many styles and materials, each possessing a different set of pros and cons. Rivet shelving is probably the most popular style of shelves. They are strong, versatile and easy to put together, which is ideal for when the immediate need for storage arises. This type of shelving comes in two styles: single and double rivet. A single rivet shelf is generally strong enough to hold around 300 pounds; a double rivet shelf, on the other hand, can hold up to 15,000 pounds. The downside of rivet shelving is that they aren’t easy on the eyes. The bare-bones nature of the shelving also limits users in terms of customizability. It’s not likely that one would be able add dividers or doors onto rivet shelving to make it more attractive. Wire shelving is attractive, versatile and great for those who have an eye for clean design. The lightweight quality of wire shelving makes them prime for caster and wheel mounting. 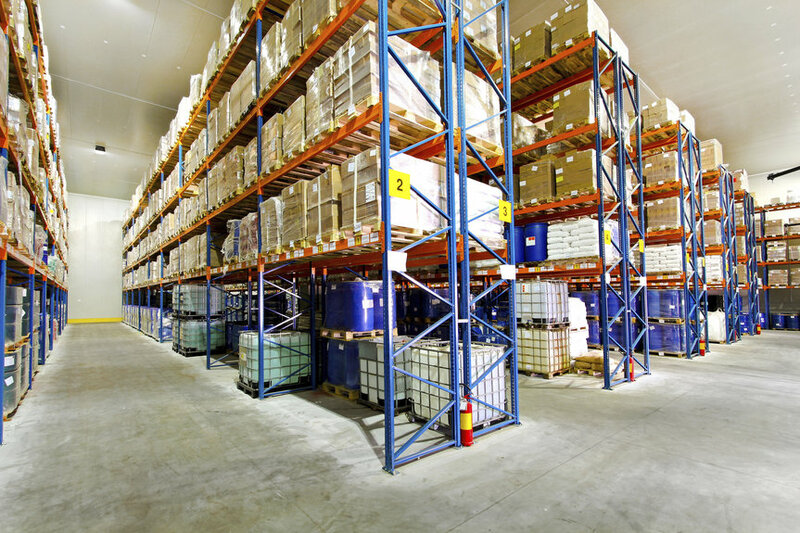 Turning a shelf into a rolling cart can enhance the portability of objects around the warehouse. The wire material also prohibits dust from collecting on the shelf, further encouraging a cleaner, more organized warehouse. Wire shelving is, unfortunately, the most expensive type. For those large warehouses, opting for wire shelves may not be the most economical decision. Steel shelving offers more versatility than rivet and is more economical than wire shelving. The high-customizability allows users to put in dividers, doors, and adjust the shelves as they see fit. Steel shelving is also attractive enough to fit in office settings. The downside of steel is the price. Although it’s cheaper than wire shelving, the price can add up depending on how much storage space is required. Also, because of steel’s permanence once assembled, it’s difficult add casters and wheels to make the shelving mobile. © 2017 International Warehouse Group.